The Anchor Society recognizes collegiate or alumnae members, parents, and friends of Alpha Sigma Tau contributing $1,899+ annually (January 1-December 31) to the Anchor Fund. Gifts made to the Anchor Fund support the most pertinent initiatives of the Foundation, including the operating budget, and individuals recognized through the Anchor Society make up the building blocks of our Foundation. At the conclusion of each calendar year, the names of Anchor Society members are added to a plaque displayed in Alpha Sigma Tau’s Headquarters in Indianapolis, Indiana as lasting recognition of their generosity. 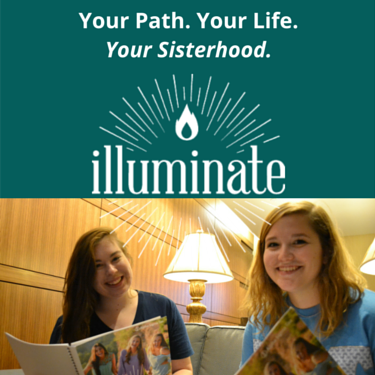 Your tax-deductible gift to the Anchor Fund of the Alpha Sigma Tau National Foundation is empowering women and growing the future. Thank you! The Alpha Sigma Tau Foundation is pleased to recognize collegiate or alumnae members, parents, and friends of Alpha Sigma Tau contributing $1,899+ annually (January 1-December 31, 2019) to the Anchor Fund. Annual giving is integral to the success of our organization, and your generosity is truly appreciated. Thank you for your continued generosity and support. Please Note: This list is considered “rolling” until the end of the calendar year and will be updated on a monthly basis. The Alpha Sigma Tau Foundation is pleased to recognize collegiate or alumnae members, parents, and friends of Alpha Sigma Tau contributing $1,899+ annually (January 1-December 31, 2018) to the Anchor Fund. Annual giving is integral to the success of our organization, and your generosity is truly appreciated. Thank you for your continued generosity and support. The Alpha Sigma Tau Foundation is pleased to recognize collegiate or alumnae members, parents, and friends of Alpha Sigma Tau contributing $1,899+ annually (January 1-December 31, 2017) to the Anchor Fund. Annual giving is integral to the success of our organization, and your generosity is truly appreciated. Thank you for your continued generosity and support. Thank you to our 2017 Anchor Society donors!